Welcome to the Sirram Bull Terriers Internet Site. Sirram Kennels has been established since 1997, however, my parents owned Bull Terriers prior to, and throughout my childhood, and I have grown up with them all my life. The Kennel is based in Marian, near the city of Mackay, in northern Queensland. 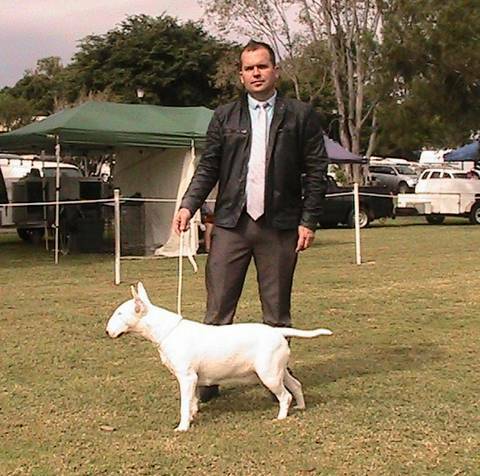 With almost 15 years experience as a registered breeder as well as many years prior experience, Sirram Bull Terriers are bred using top Australian and international bloodlines and our objective is always to breed for sound temperament, type and conformation.